Do I Understand Jesus Any Better Than Peter? I think Peter often gets a bad rap. Actually, let me correct that. I think we are accurate in our observations of Peter missing them point. I just think we often critique him while setting ourselves apart from him. In other words, we need not only to be aware of the things Peter fouls up, but we need to also be aware his story is meaningful because it is our story. Peter shows us our screw ups and how we miss the point even when Jesus is right there in front of us. I feel this tension in the passage this week. We can sermonize all day long about how Peter misses the point of Jesus being the Messiah because he does not connect his confession to the cross. But do we really connect those two? I know I miss it all the time. As Christians we affirm the Messiahship of Jesus and claim Jesus as Lord and Savior. But I think we often find ourselves in Peter’s position. We want the results of the cross, but we don’t want to experience the cross. We rebuke Jesus for saying suffering is inevitable in the life of Jesus followers. In my life, often the most “suffering” I do for Jesus is putting up with people who mildly irritate me or find myself in a theological disagreement. Or often I see it as suffering when I don’t get what I want. When things don’t turn out the way I had planned. My “suffering” is often very petty. I believe the Gospel to be counter-cultural and counter-intuitive. It does not make sense to the mainline beliefs of the culture. Therefore as Christians, we should expect opposition. We should expect to offend people, we should expect people to misunderstand and reject and demonize us. We should find that life in the kingdom is difficult. This is the kind of cross carrying Jesus is talking about. Yet often our suffering is things not going our way. Or worse, our opposition and offense comes from being jerks and not being the kinds of people who care for and love people in counter-cultural ways. Most of the time people are offended by Christians because we are publicly advocating to get our way, and not being very nice about it. Then I hear stories of people who have actually run up against opposition for the kinds of things Jesus assumed would cause us trouble. I see people working against friends who are trying to be the voice of change and love and hope in the world. I see systems and governments clashing with the people who are trying to incarnate the love of Jesus in the world. These are the people who connect the cross and discipleship. These are people who are suffering and offering their time and resources and lives and health and safety for the good of others and the betterment of society. When I see stories like that, and I think about what I consider “suffering” I wonder if I understand Jesus any better than Peter did in this moment. Do I really know what it is like to clash with the powers that be because I am the kind of person who is FOR those who no one else is willing to be for? Do I know what it is like to truly give my time, health, and resources in a way that is uncomfortable and difficult? Or do I get caught up in the entitlement game and play the Jesus card when I don’t get all I am entitled to? I think these are important questions to ask ourselves as we look at this story. Am I willing to be a person who understand the full meaning of Jesus as Messiah? 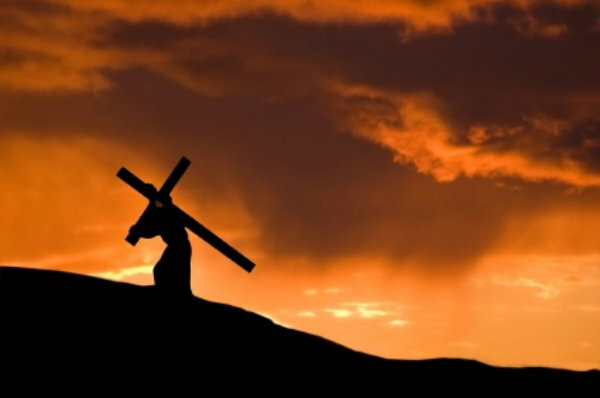 I am willing each day to bear a cross? Because the cross is what we take on for the good of others. The cross is what we endure in order to give life and hope and meaning to those around us – especially those who are in desperate need of love and mercy and justice. This story is a watershed moment. It is the moment where we must decide if we really want all that discipleship entails. Because once we decide to follow Jesus, we decide to be cross-bearers and agents of the radical and counter-cultural love of God in the world. This entry was posted in Ordinary Days and tagged Cross, Discipleship, Peter, Sacrificial Love. Bookmark the permalink.